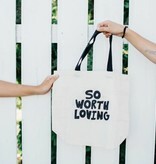 Introducing the new So Worth Loving Tote! 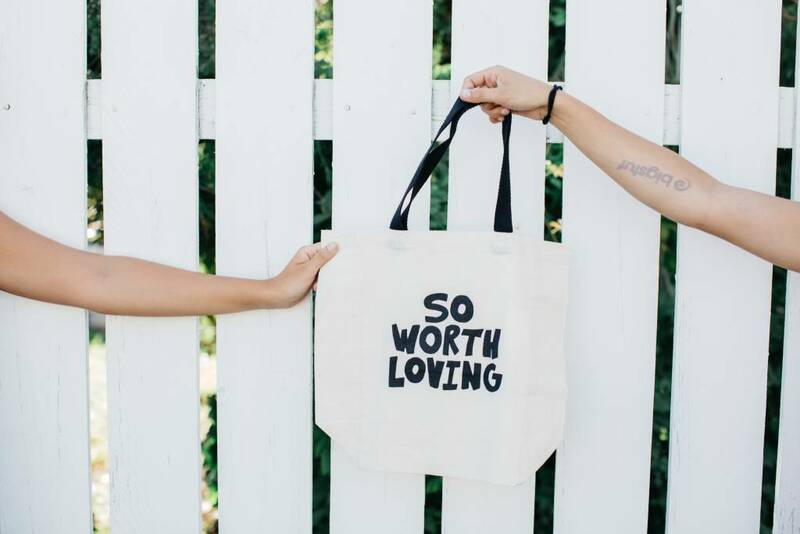 The perfect carrier for all of your school and beach essentials, the So Worth Loving tote reminds us that our stories empower us. So often we are told that our past + our stories are baggage. That our scars, the things that we've done and the places we've been are heavy burdens to carry. But we are here to tell you that is not the case! We are not defined by our past. We are prepared because of it! Let's start looking at our stories in a new way. Let's unpack the shame that we are so often convinced we need to bear, and instead carry all that we've learned and all of the progress we've made. Fill your life and your tote with the things that bring you joy. Be proud of who you are and how far you've come! You are so worth loving.